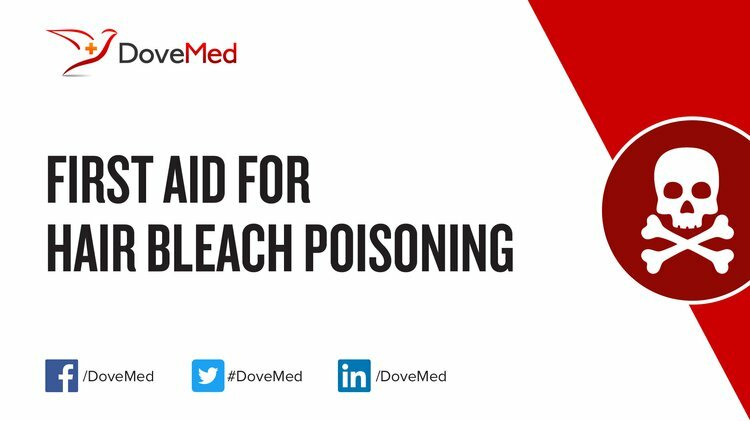 Hair Bleach Poisoning is the accidental or intentional intake (swallowing) of any product containing the compound. What is Hair Bleach Poisoning? What are the Causes of Hair Bleach Poisoning? What are the Signs and Symptoms of Hair Bleach Poisoning? The signs and symptoms of Hair Bleach Poisoning can vary from one individual to another. It may be mild in some and severe in others. Several systems of the body, such as the digestive, respiratory, nervous, urination, vascular, skin and ENT, may be affected. How is First Aid administered for Hair Bleach Poisoning? Who should administer First Aid for Hair Bleach Poisoning? First aid for Hair Bleach Poisoning is administered by healthcare professionals. What is the Prognosis of Hair Bleach Poisoning? How can Hair Bleach Poisoning be Prevented? Hoekstra, M., van der Heide, S., Coenraads, P. J., & Schuttelaar, M. L. A. (2012). Anaphylaxis and severe systemic reactions caused by skin contact with persulfates in hair‐bleaching products. Contact dermatitis, 66(6), 317-322. Weldon, E., & Martey, P. M. (2012). Caustic soda poisoning in Ghana–an alarming increase. Paediatrics and international child health, 32(3), 158-160. Smith, W. M. (2011). First aid. The Complete Textbook of Veterinary Nursing2: The Complete Textbook of Veterinary Nursing, 307. Reddenna, L., & Krishna, T. R. (2013). Management of poisoning: general protocol. International Journal of Pharmacology and Toxicology, 1(2), 53-63. D'Anna-Hernandez, K. L., Ross, R. G., Natvig, C. L., & Laudenslager, M. L. (2011). Hair cortisol levels as a retrospective marker of hypothalamic–pituitary axis activity throughout pregnancy: comparison to salivary cortisol. Physiology & behavior, 104(2), 348-353.